Danny has over eight years of experience in the restoration industry and has been the owner/operator of SERVPRO since 2008. He holds certifications in Water Restoration, Fire Restoration, Mold Remediation and Structural Drying from the Institute of Inspection, Cleaning, and Restoration Certification (IICRC). He is also a graduate of Oklahoma State University with a Bachelor's Degree in Applied Science. Danny also has an extensive background in the food service industry. With his education and experience, he is uniquely qualified to provide a high level of professionalism in any restoration situation, including the sanitation of food preparation facilities. 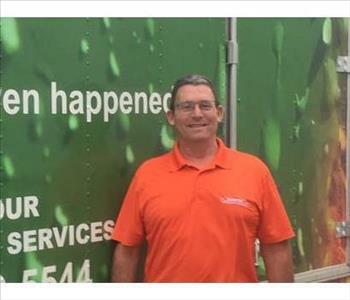 At SERVPRO of Fayetteville / Springdale, our Operations Manager is Terry. 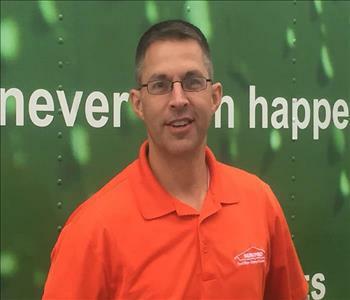 Terry has been part of our team at SERVPRO since 2013. He has certification in smoke, water, commercial, applied structural drying and fire from the IICRC. Terry enjoys a challenge, so when the owner of Market Place Grill had a fire and wanted to be open for lunch the next day he had a lot of work ahead of him. His team was able to deodorize and clean the damage, they even built a temporary wall allowing for the restaurant to open for lunch. 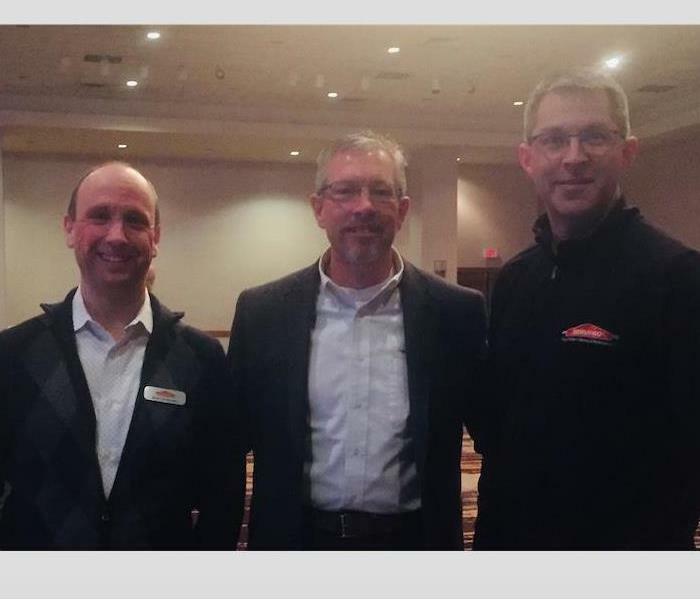 Terry is a valued member of the SERVPRO team! 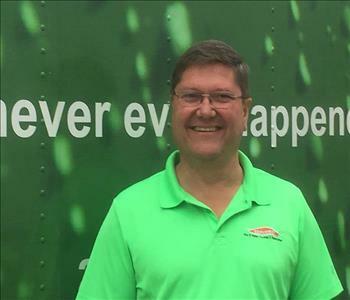 Jim has been part of the production team at SERVPRO of Fayetteville / Springdale since 2016. He will complete his Water, Smoke, & Fire accreditation from the IICRC in November of 2017. 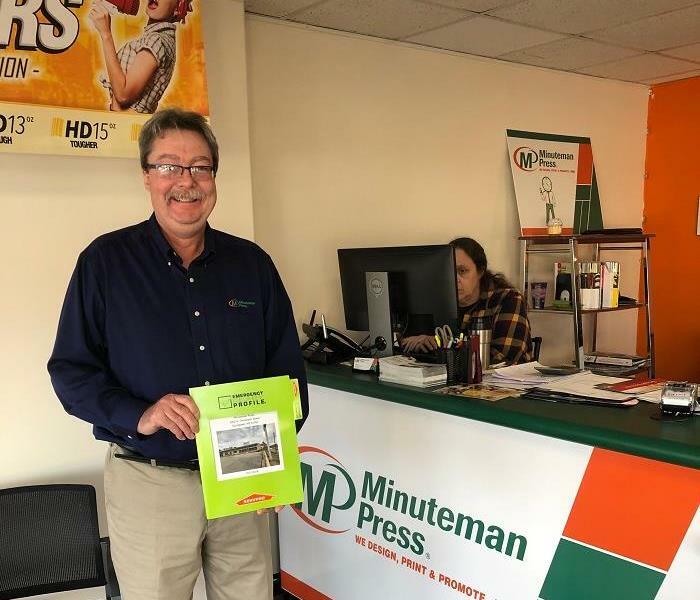 Before working for SERVPRO, a majority of his career was managing facilities in the auto parts industry. He has won several awards for increasing efficiency and quality control. He enjoys getting involved with his church and volunteers serving dinner to the homeless. Justin is part of the production team at SERVPRO of Fayetteville / Springdale. Justin has experience in the construction and restoration industry. He is certified in Water, Smoke, and Fire restoration from the IICRC. His experience as an insurance adjuster is a great asset and helps us understand the needs of our clients during the restoration process. When he is not working for SERVPRO, he is a volunteer softball coach. 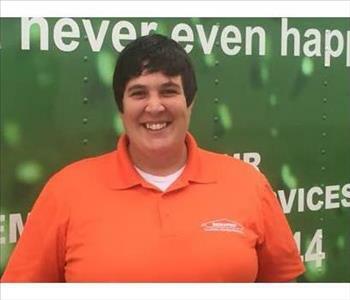 Tanya has been a valuable team member of SERVPRO of Fayetteville / Springdale since 2014. She was hired as a production technician and through hard work was promoted to a Crew Chief. Tanya was not finished there and is now a Production Manager leading our crews. She is on the verge, in Nov. 2017, of receiving her IICRC certification as a WRT water damage restoration technicians and as an FST fire & smoke damage restoration tech. A pretty impressive resume for such a short period. Along with helping our Fayetteville customers, Tanya finds the time to volunteer with local groups to help the homeless. 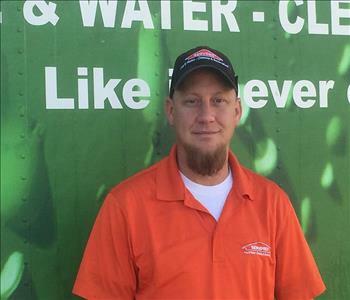 Kevin is a production member at SERVPRO of Fayetteville / Springdale since 2014. He is very skillful and is IICRC-certified as a water and as a fire & smoke damage restoration technician. 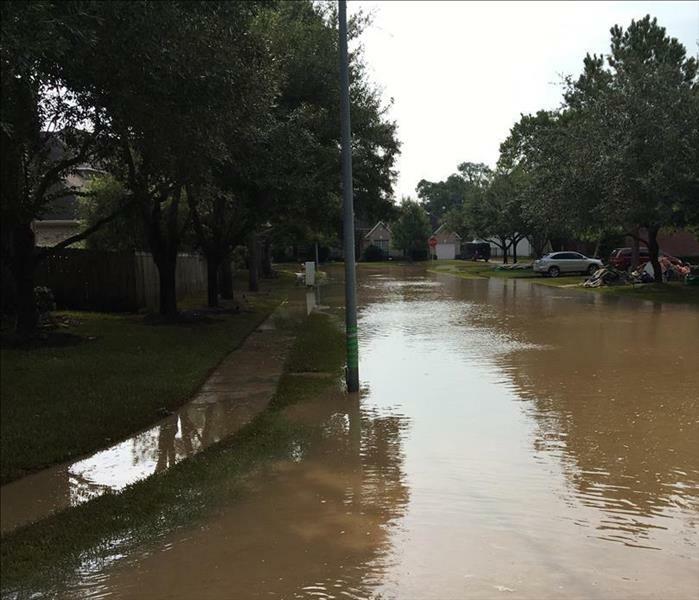 When disaster strikes our customers homes in and about Fayetteville, they have a sense of hopelessness. That is until their SERVPRO hero, Kevin arrives on the scene. His apparent outward joy spreads relief, and his skill set results in a return to preloss condition, "Like it never even happened." Kevin also volunteers in his church's youth group program. Chris is a member of our SERVPRO of Fayetteville / Springdale team. 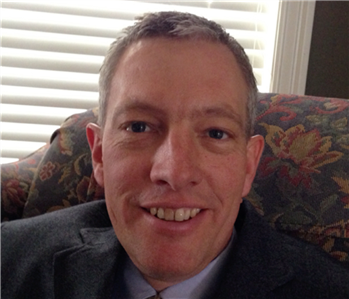 He has 20+ years in customer relations and sales and construction management. He is parlaying his strengths with his soon to be achieved (Nov. 2017) IICRC certifications in WST and FST, water and fire & smoke damage restoration. He is a great asset not only to us but also to the Boys & Girls Club where he coaches youth basketball and football. Chris volunteers for the Kendrick Fincher Hydration Foundation and is committed to ensuring the safety of athletes and children.